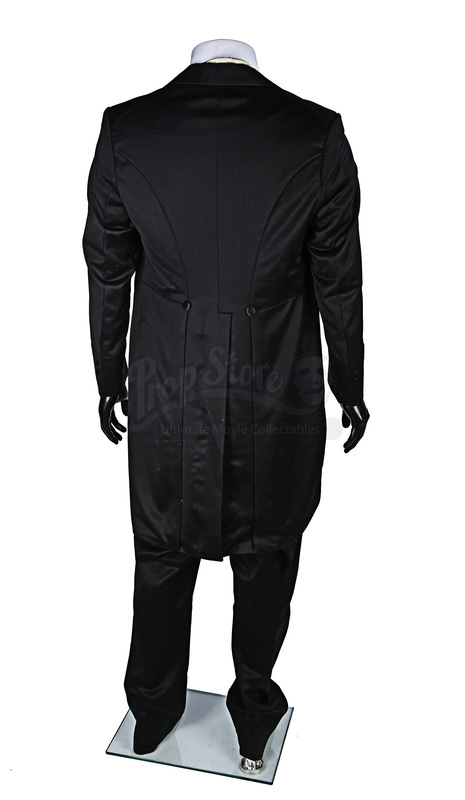 Van Helsing’s (Thomas Kretschmann) engagement party costume from NBC’s horror drama series Dracula. 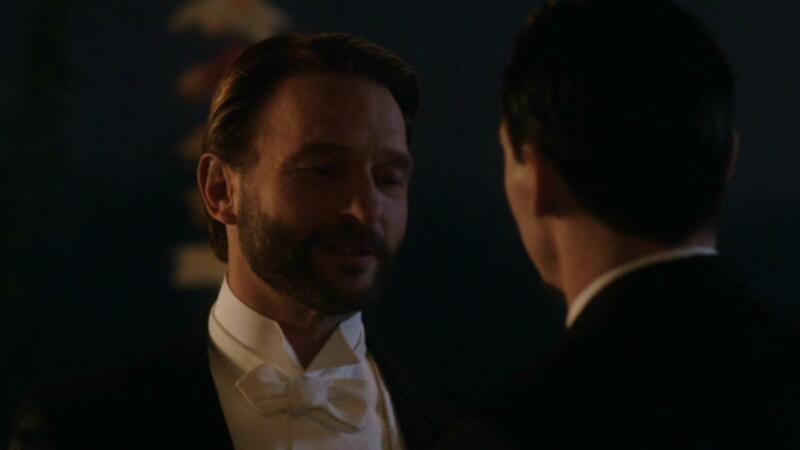 Now in London, Dracula plots his revenge against the people who ruined his life centuries ago and assumes the role of Alexander Grayson. 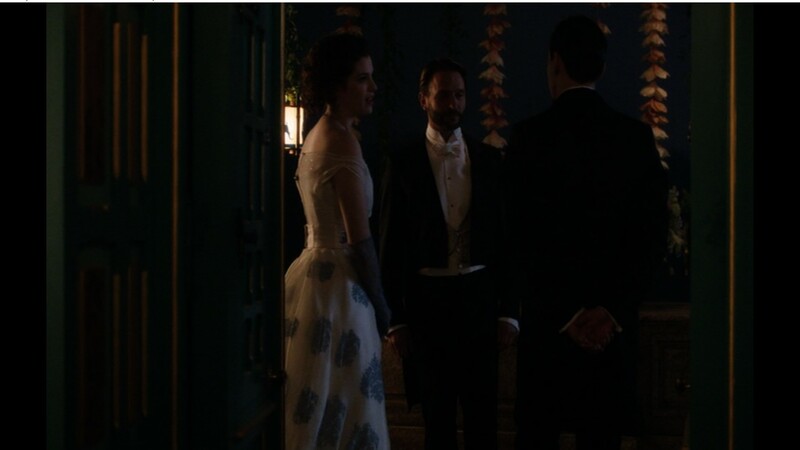 However, he falls for young Mina Harker (Jessica De Gouw) who seems to be a reincarnation of his dead wife, complicating his plans. 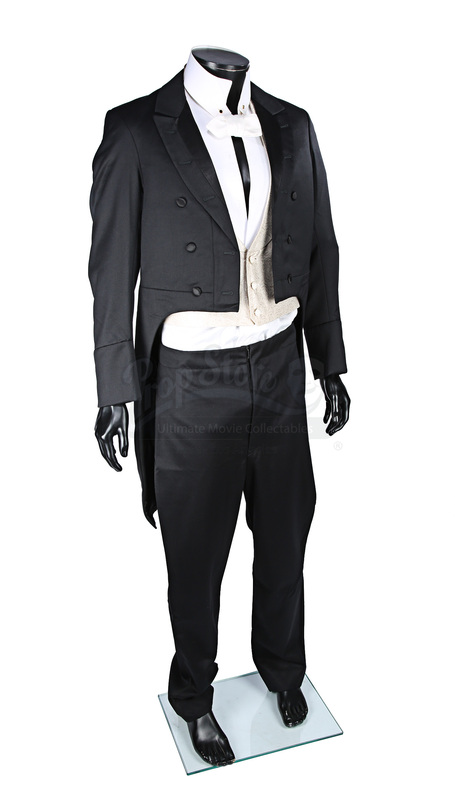 This costume was worn by Van Helsing when he attends devoted student Mina Murray’s engagement party at Carfax Manor during the fifth episode of the series. 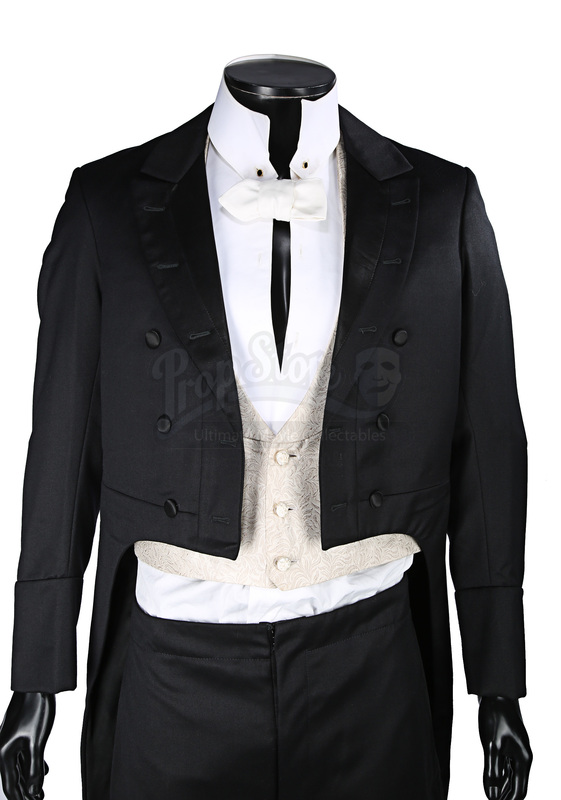 The costume consists of a two-piece black tuxedo, a white evening shirt with a separate white winged collar, an ivory-coloured bow tie, an off-white waistcoat and two black and gold shirt studs. 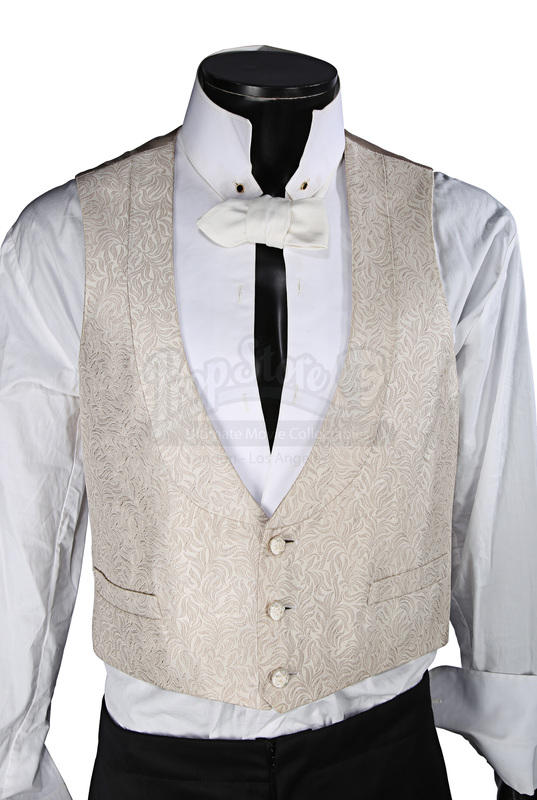 The front of the waistcoat displays a baroque inspired pattern. Adhered to the inside of the suit, shirt, collar and waistcoat are labels that read “Van Helsing”. The collar displays marks and the costume shows minor wear from production use. 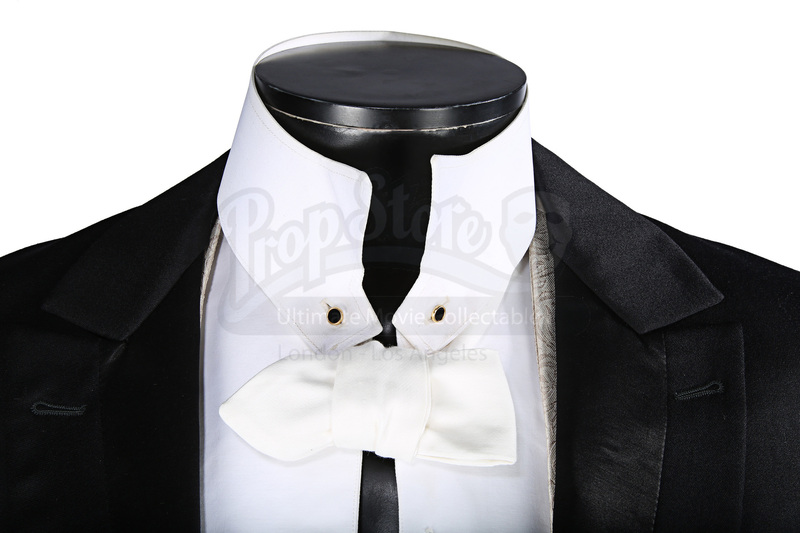 However, in spite of this wear the costume remains in very good condition and contains no size markings.